John Singer Sargent, born on January 12, 1856 in Paris, was an American artist who was distinguished as a leading portrait artist during his time, with his paintings evocative of the luxurious Edwardian era. He was a productive artist, creating numerous charcoal drawings, sketches, over 2,000 watercolors and almost 900 paintings done in oil. His major works traveled the world, touring parts of the United States, the Middle East and several cities in Europe. Sargent received his art training in Paris, moved to London and stayed around Europe most of the time. He was a remarkable painter, renowned for his technical ability to draw with a brush. His commissioned work displayed his particular approach to portraiture, but his landscape paintings and his informal studies showed that he was very familiar with the Impressionist technique. Although he gained international praise for his portraiture, he grew tired of the restrictions required when doing portraits later in life and spent most of his time working en plein air and creating murals. 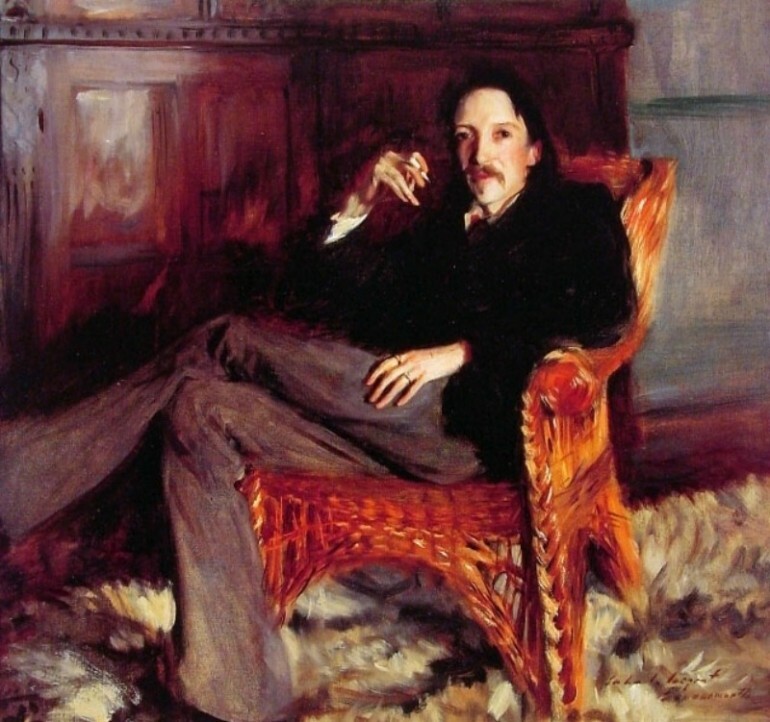 While Sargent did not receive a complete education he was accomplished in literature, music and art and was fluent in German, Italian and French. He was also very familiar with some of the great masters and greatly admired Tintoretto. However he only ranked the painter second to Titian and Michelangelo. The artist received training in art from Carolus-Duran, who, at that time was enjoying a fast-rising career. He used modern teaching methods and was noted for his bold painting techniques. He was a major influence in Sargent’s career from 1874. He taught Sargent the technique of drawing directly on canvas using a loaded brush, a technique popularized by Diego Velázquez. This approach commanded measured skill because it required the right placement of the right quality of paint color on canvas without the benefit of an under color, which was different from the methods used in other studios. At that same year, Sargent passed the very rigorous exam given by the École des Beaux-Arts. 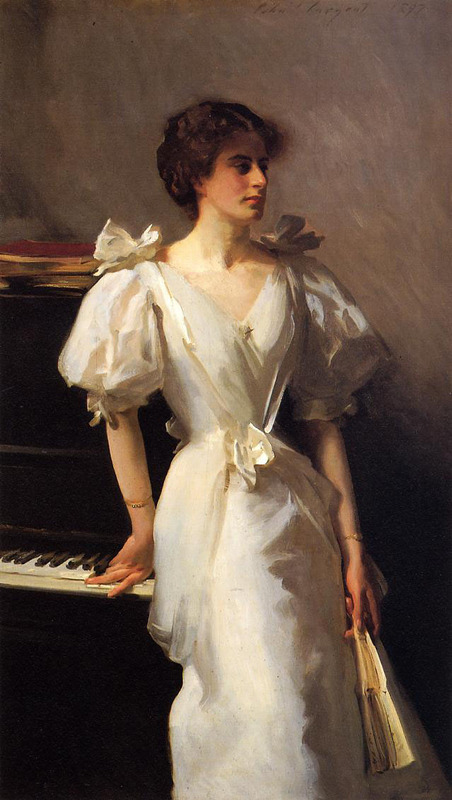 Sargent was quite passionate about art, and had drawing classes that included perspective and anatomy. He also earned a silver prize as a student. He also indulged in self-study, visiting and drawing in museums and in the studio he shared with fellow American portrait, genre and landscape artist, James Carroll Beckwith. He became a valuable friend to Sargent, connecting him with other American artists located overseas. Sargent was one of the many students of French painter Léon Bonnat, who was then a professor at École des Beaux-Arts. He also was close to another French artist, Paul César Helleu, who enabled Sargent to meet top artists such as Whistler, Monet, Rodin and Degas. Although he was more inclined to do landscapes, he was influenced by his teacher Carolus-Duran to take up portraiture since it was a great way to promote an art career, acceptance of works for a Salon exhibit as well as the best way to get commissions. It was a wise move because he not only had a remarkable talent to capture the sitter’s likeness but his reputation grew widely because of it. He went to Spain and closely studied the works and techniques of Diego Velázquez. His subsequent trips to Italy allowed him to gain ideas from streets scenes of Venice where he was able to capture postures and gestures that he later introduced to his portraits. In the early part of the 1880s he exhibited full-length portraits of women at the Salon for which he received positive notice that became critical to his career. He had the gift to truly capture the personality and individuality of his sitters, which was comparable only to Velázquez. He was always experimenting and trying on different approaches with lighting and unusual compositions. The controversy created by his “Portrait of Madame X (Madame Pierre Gautreau)”, which he painted in 1884, although considered as one of the best portraits he had produced, might be partly responsible for his decision to move to London, England. This painting was sensuous and quite daring. He was a well-sought after portrait painter and some of his American clients even traveled to his studio in England for their sitting. He painted actresses, writers such as Robert Louis Stevenson, members of the elite society, John D. Rockefeller and U.S. presidents Woodrow Wilson and Theodore Roosevelt. At the age of 51 he finally closed his portrait studio and concentrated on painting landscapes and architectural subjects.